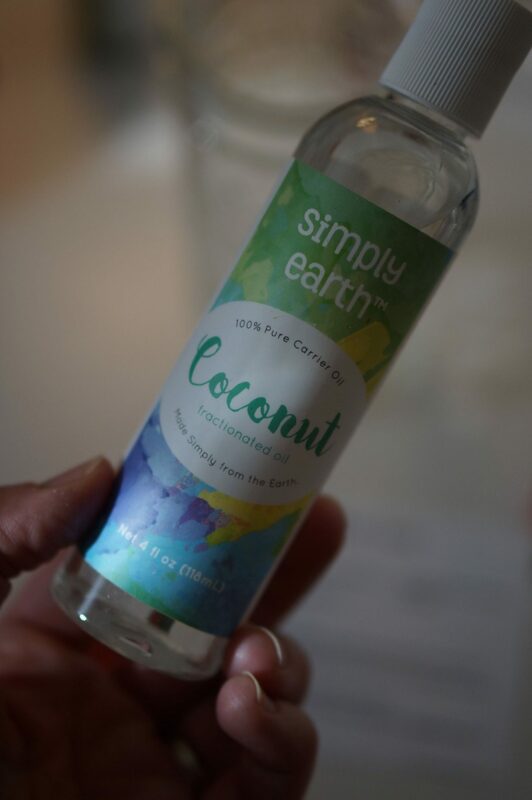 This post is sponsored by Simply Earth. I only ever feature products that I use and love, and all opinions and content are my own. Thank you for supporting the brands that support this blog! 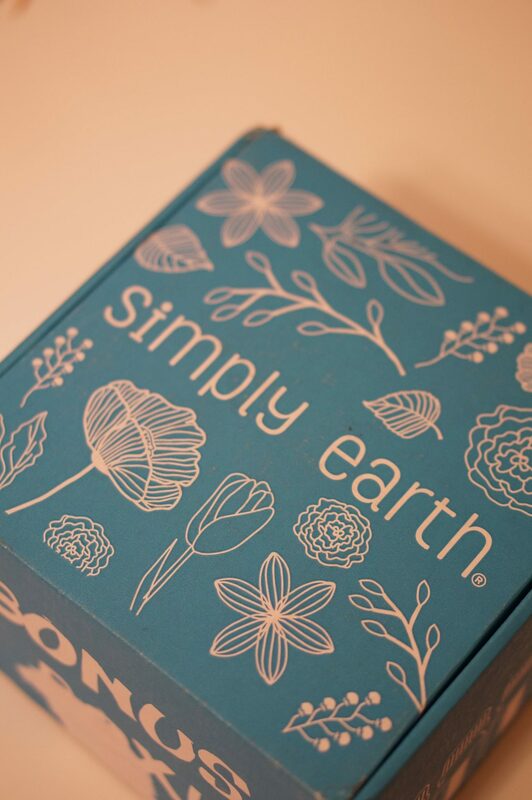 Use code RLFREE to receive a $20 Simply Earth gift card in your box! 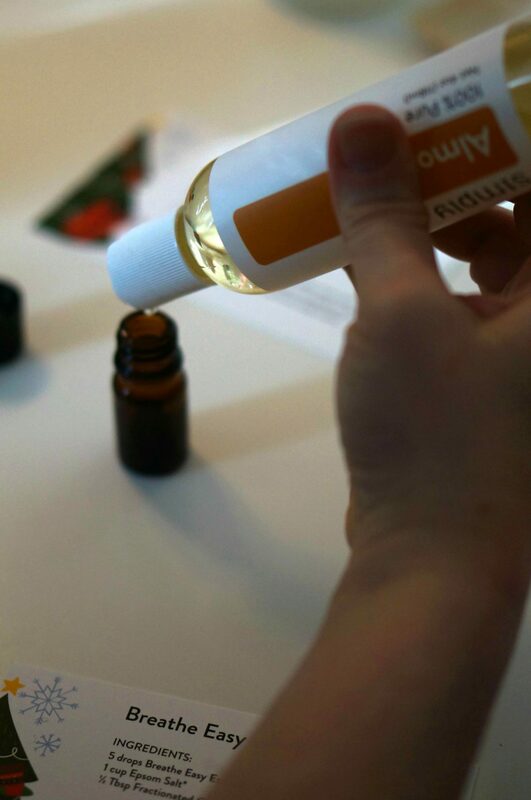 If you have been reading my blog for a while, you probably already know that I love using essential oils in my home. 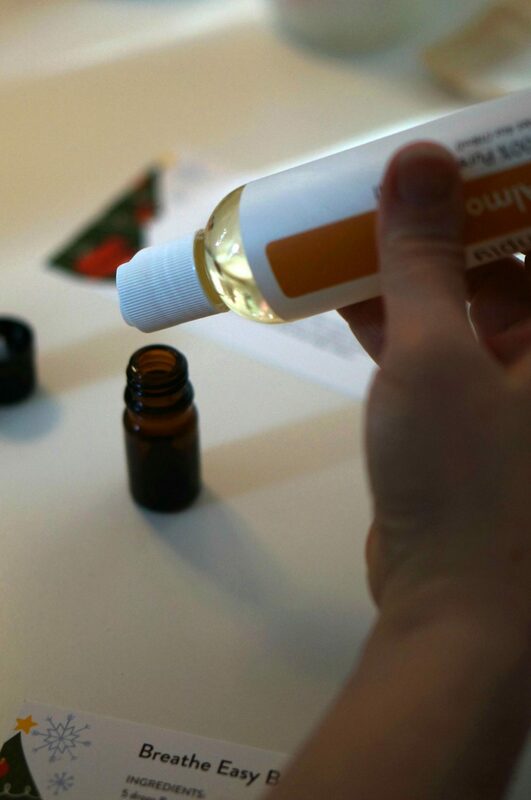 I’ve shared a few recipes here and there over the years, but today’s post is the most exciting of all the essential oil posts I’ve written. 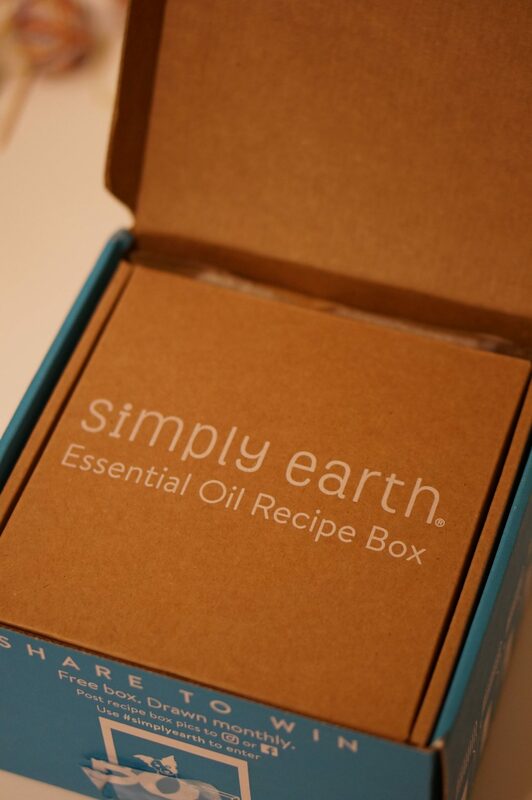 Today, I get to introduce you to an amazing subscription box called Simply Earth. 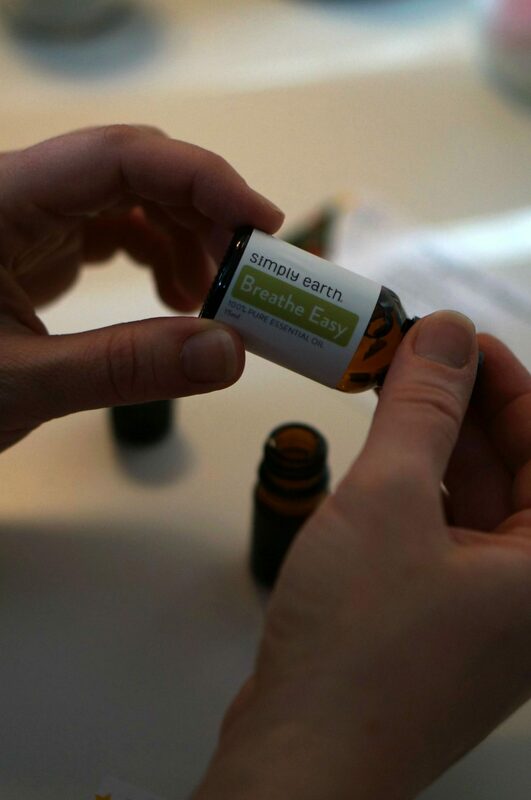 Simply Earth is, basically, an essential oil recipe box. 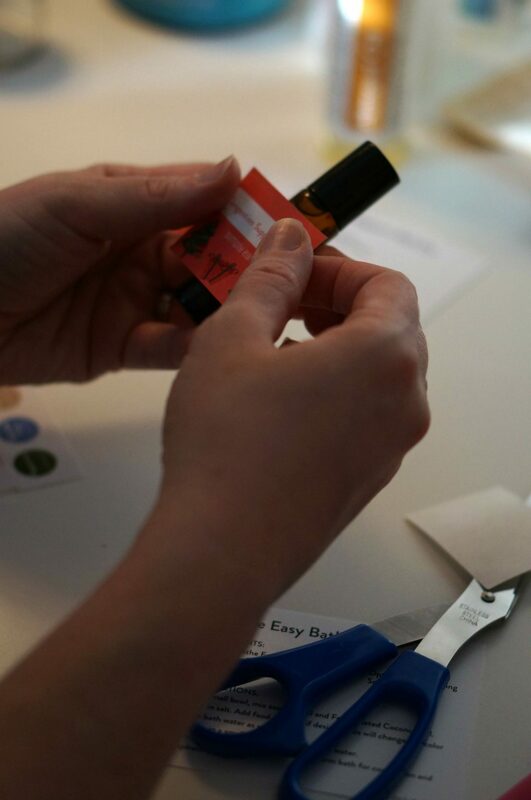 Each month, you are sent not only essential oils but recipes and most of the ingredients for those recipes. For the past couple weeks, I’ve been trying out the December box and I literally can not tell you how impressed I am with it. It completely blew my mind how much thought goes into this box. The December box is completely centered around all those things we love (and sometimes don’t quite love) about December. 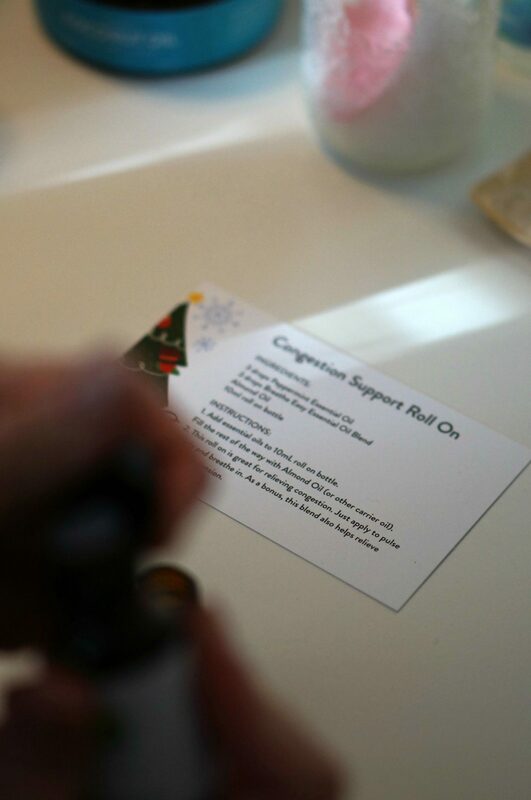 Think festive scents and trimming the tree … but also cough and cold support. You see what I mean? 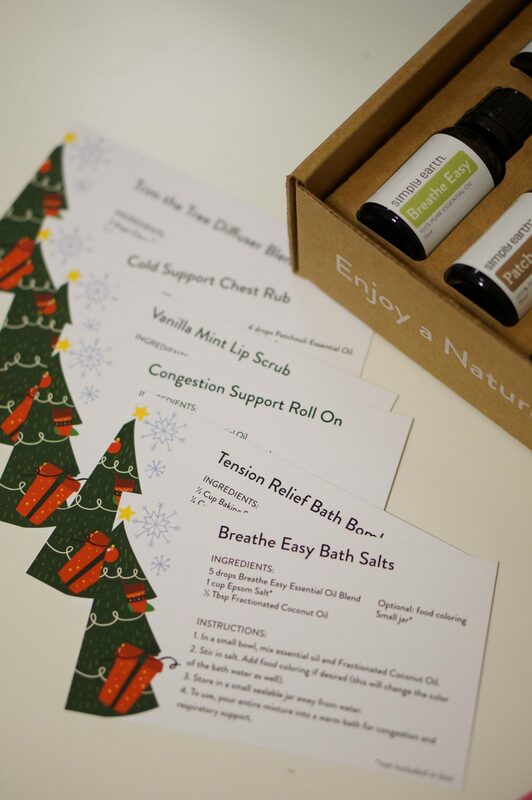 Not everything about December is holly jolly, but this box will definitely help to support you if you’re feeling a little under the weather. The box that I was sent is the December box plus a bonus big box, so it’s a little bit bigger than a regular monthly subscription. The great thing is that if you order your box through my link and use code RLFREE you can also get the bonus box and a $20 Simply Earth gift card for future purchases! This is for first time subscribers only. 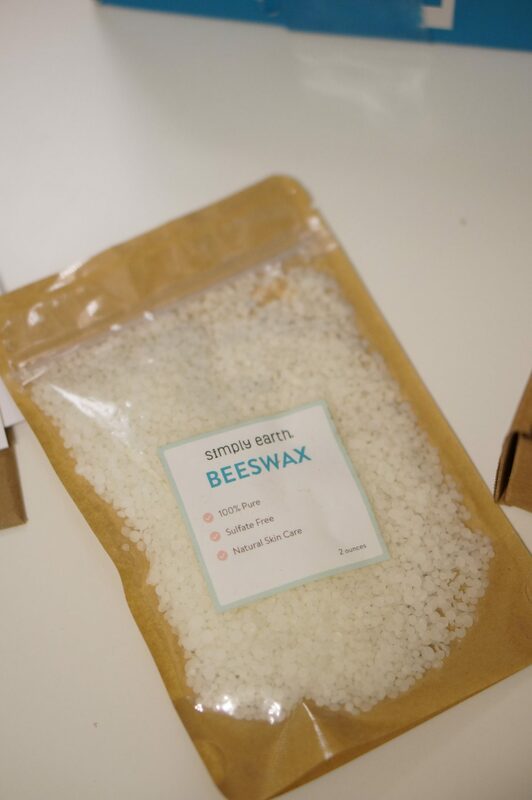 This box contains all the essential oils, goat milk powder, citric acid, small jar, and bath bomb mold. At first I thought they were two little bowls for mixing the recipes, but I literally squealed when I realized it was a bath bomb mold. I’ve always wanted to try making my own bath bombs! 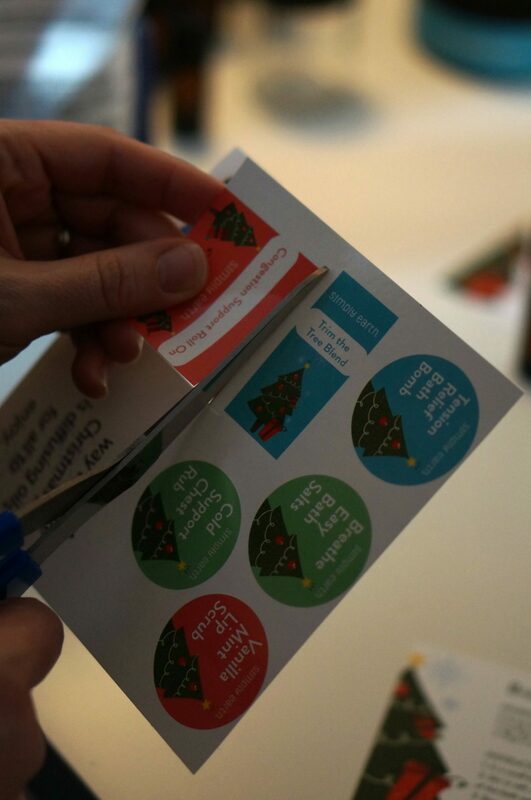 There was also a sticker sheet included to label the recipes after I’m done. Here are the recipes that are included in the December box. 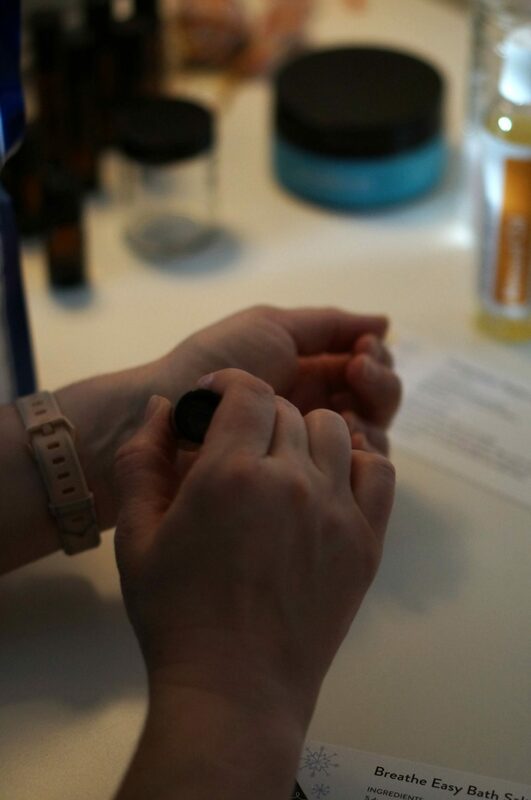 Today, I’ll be sharing how I made the Breathe Easy Bath Salts and Congestion Support Roll On. These are some more supplies and containers for the recipes. 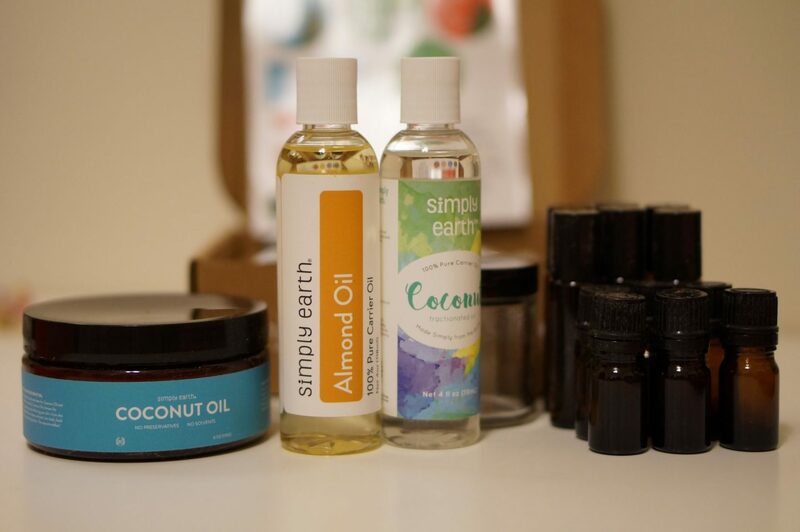 My box also came with coconut oil, fractionated coconut oil, and almond oil. 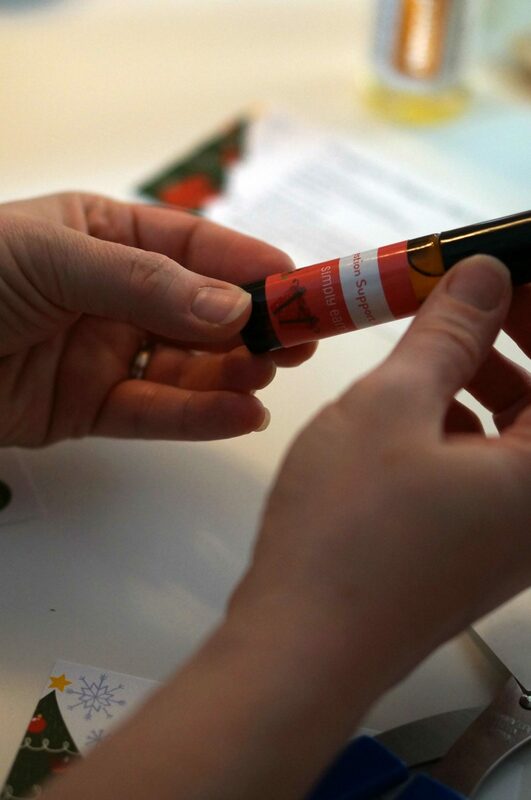 The containers that were supplied were six oil bottles, six roller bottles, and a jar. Last, but certainly not least since I want to make the chest rub, is beeswax! I’ll be sharing how I make that over on Instastories. If you miss it, don’t worry because I’ll save it in my highlights! 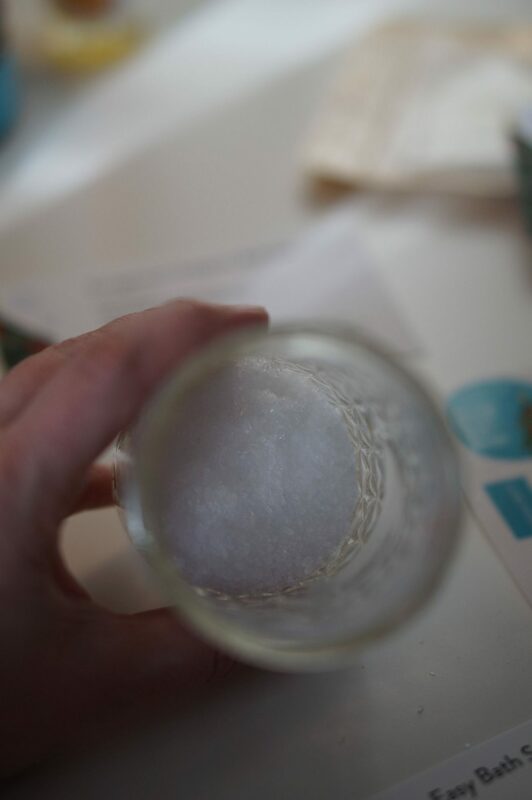 First up, I made the Breathe Easy Bath Salts. This was definitely an easy recipe. 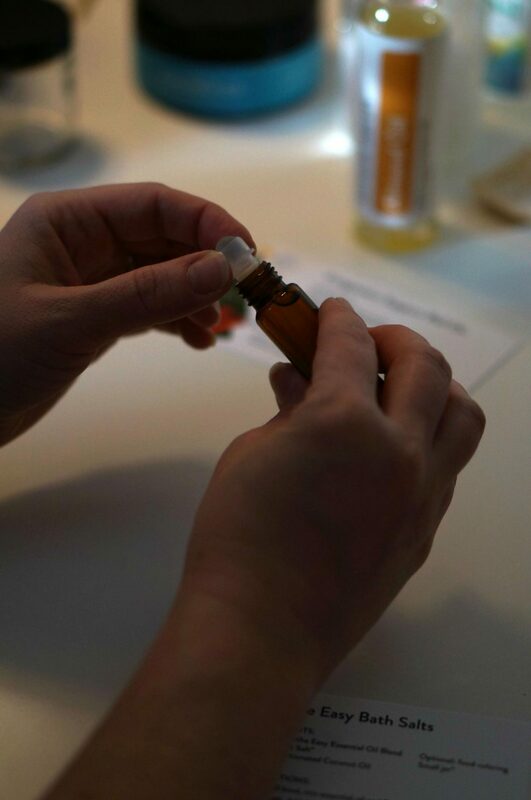 If you’re not experienced with essential oil recipes, don’t worry about that. 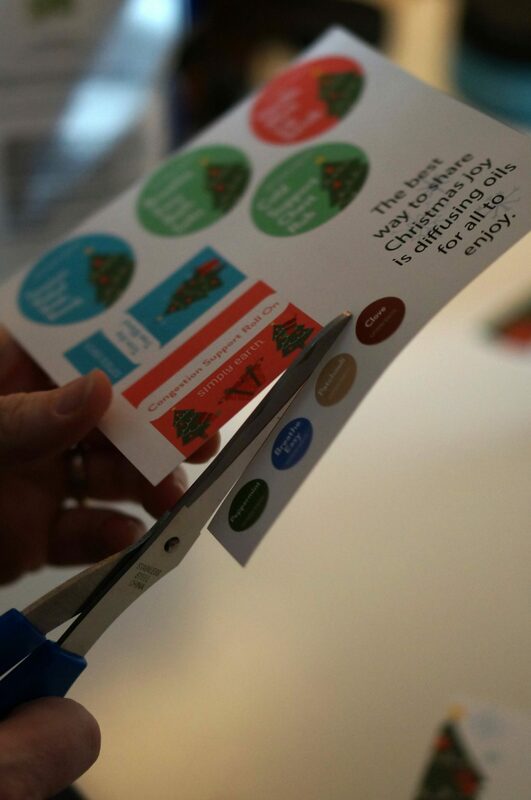 The recipe cards walk you through step by step. 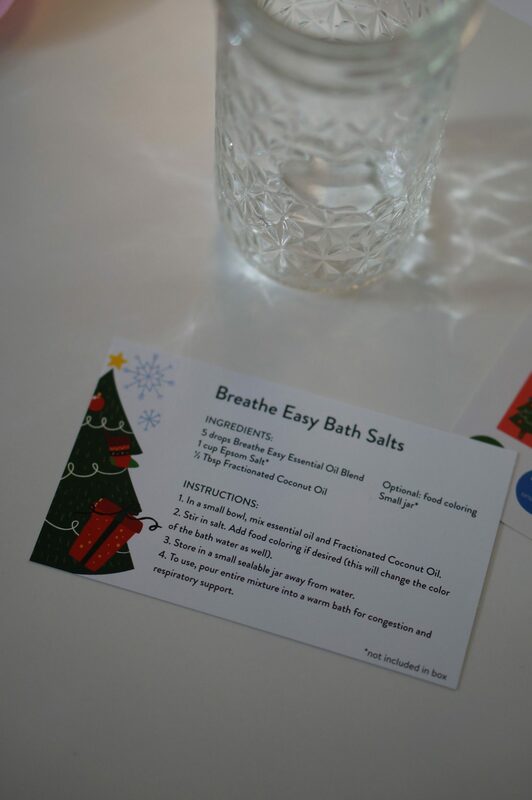 To be honest, I didn’t use the sticker for the jar, because I used the bath salts immediately that night! I’ll be making another batch soon. Ironically, I was coming down with a cold the day before we took the pictures. The timeliness of this box was almost comical! 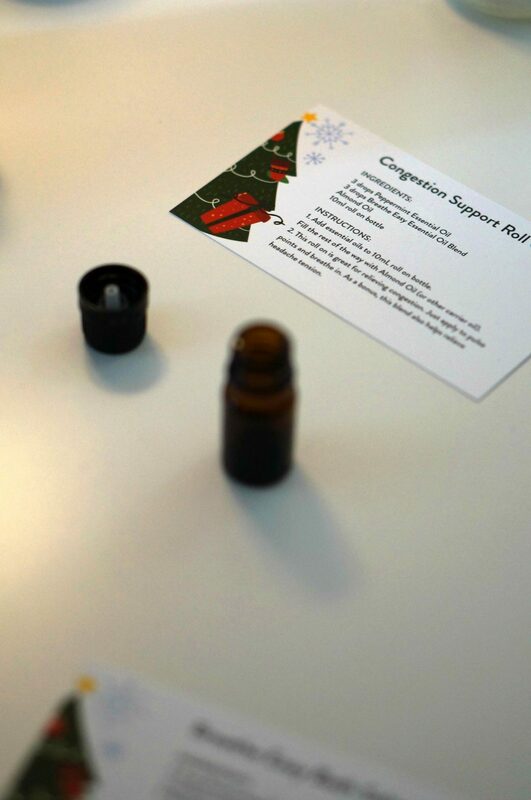 I decided to also make the Congestion Support Roll On, because I actually wanted to use it. 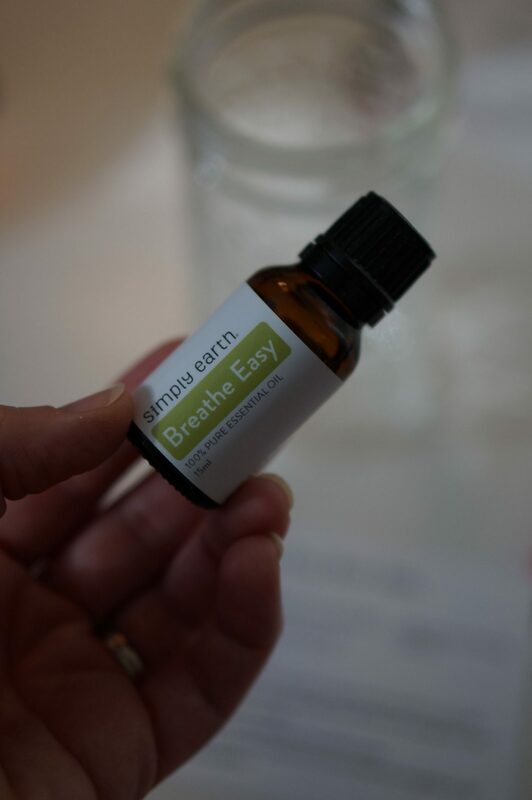 This was the easiest recipe to put together, because it contained three simple ingredients of peppermint essential oil, breathe easy essential oil (all the oils are the Simply Earth brand, I love it! 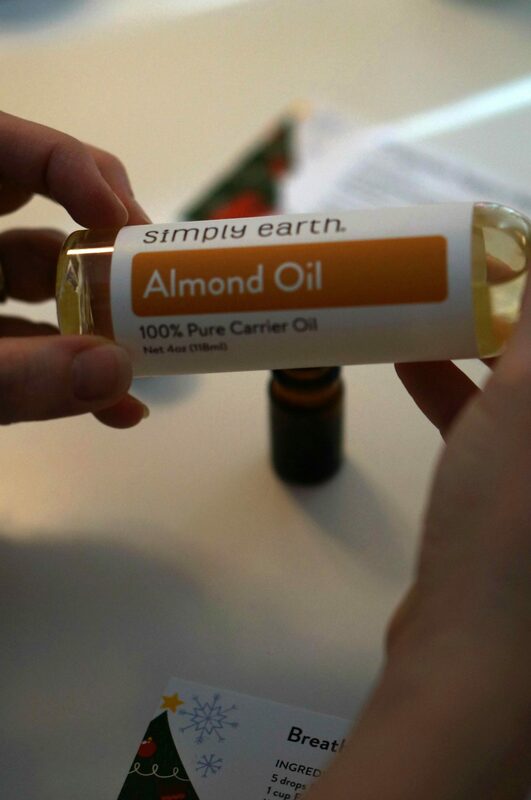 ), and almond oil. All you have to do is mix it up in the roller ball, and apply as needed! It smells amazing and really helped me. 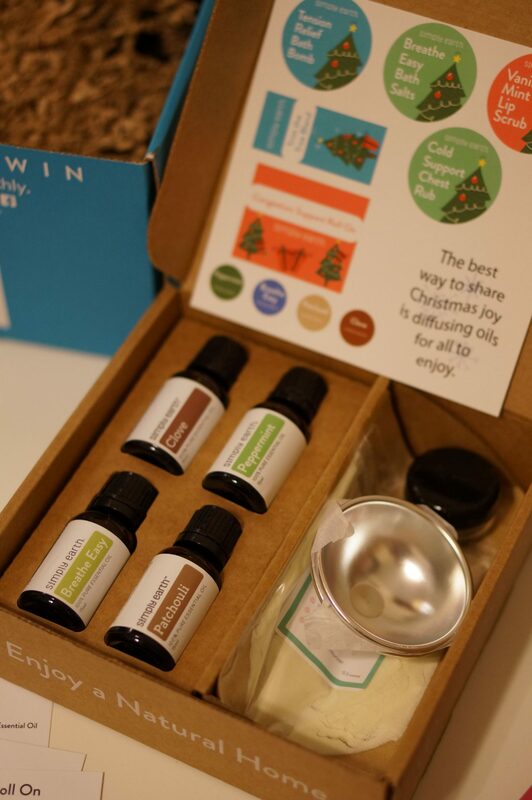 If you are at all interested in essential oils or you already use them and love them, this box is undoubtedly for you! Every thoughtful detail in this box was so nice and so appropriate for the season. This weekend I was focusing on some of the support recipes, but there were a couple seasonal recipes that I’ll be making as well. The Trim the Tree diffuser blend sounds so festive! Everything that I make will be highlighted on my Instastories, so don’t forget to check it out. 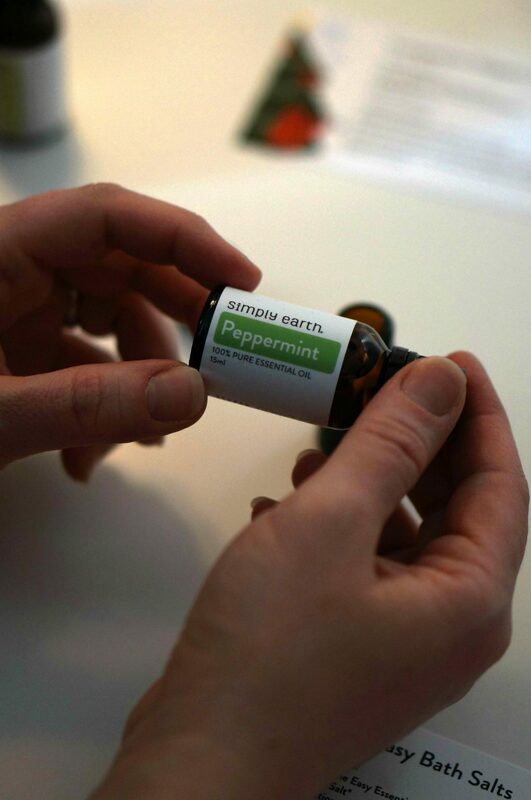 You can order your Simply Earth December box through this link and use code RLFREE to not only get the regular box but to also get the bonus box plus a $20 Simply Earth gift card to use on future purchases!